As a child I remember learning that everyone my mother’s age knew where they were when President Kennedy was shot. My father remembers where he stood when Neil Armstrong landed on the moon and my great uncle recalls the moment he heard about the bombing of Pearl Harbor. More than once I wondered what it would feel like to experience something so huge that a collective memory was forged. I wondered if I would know immediately that the world had changed or if it would take the perspective of age to shift my memories. I wanted to feel something big, to know the kind of sadness or awe that could connect an entire culture. And then I experienced the September 11th attacks. In another life I was a military wife. In the first year of our marriage, my husband and I moved three times. We learned quickly how to be married and how to travel and how to be far from home. Eleven Septembers ago we lived in a small Italian village not far from a European military base. My husband flew giant helicopters around the Mediterranean Sea while I taught English and learned to drink wine. We were young and optimistic. The immediacy of military life was both a comfort – we were surrounded by smart, committed people – and chaotic; those same people were constantly coming and going. But in the early oughts, it was not yet scary. We learned about the attacks on New York City like most Americans did – we saw planes hit the trade towers on television. Ironically, we watched on a delay – the Armed Forces Network broadcasts morning TV late in the afternoon. We’d just returned from a trip back to the States. 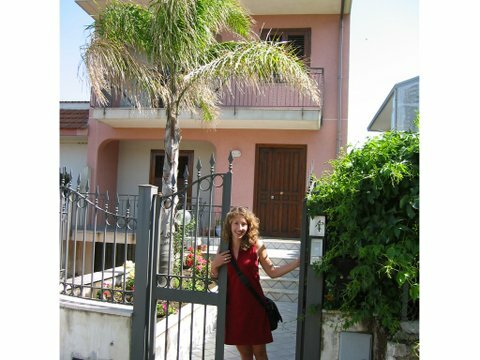 Coming home to Italy was always surreal; our little pink villa in Aci Reale was both foreign and familiar. But this day I watched as the landscape changed. No longer were we just foreigners living in a beautiful country far from home. In a moment, we became part of the generation changed by twenty-first century war. It turns out, I was aware of the collective memory as it happened. As we watched TV my husband gathered his uniforms, packed his flight bag, and called his squadron. We did not know what to expect, but we braced for change. We could not have known then that Operation Enduring Freedom and Operation Iraqi Freedom would mean that thousands of US soldiers would deploy for years at a time. We did not know that our military friends would die on the ground in Iraq and in the air over Afghanistan. We could not yet see the political or economic ramifications that a decade of war would unleash on our nation. But we knew immediately that the world looked different. I don’t often write about what it was like to be a military wife. I am proud of my husband and his service. I am prouder still of my friends that continue to serve. But I was lucky. My husband did not see direct conflict. 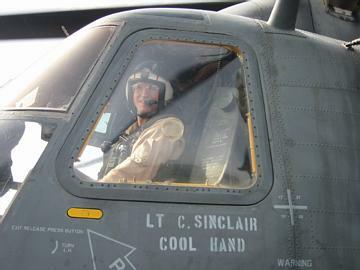 He did not return from foreign deserts with traumatic brain injuries or missing limbs. He did not miss entire swaths of our children’s lives. I do, however, talk about what it was like to live in Italy. It is likely that a three year stint in Europe would have been life changing no matter when it happened. It is also inevitable that every generation will have their Kennedy moment, but I will always wonder what my world would look like if that September memory had been different. I was 9 – amazing to think that it’s been 11 years already. We didn’t do anything at school that day, we just tuned into the news and watched the ramifications. I was old enough and smart enough to know that the whole event was serious… Honestly, though? I was just happy that we didn’t do much school work that day. Very moving, Sarah Jo. You look so young.